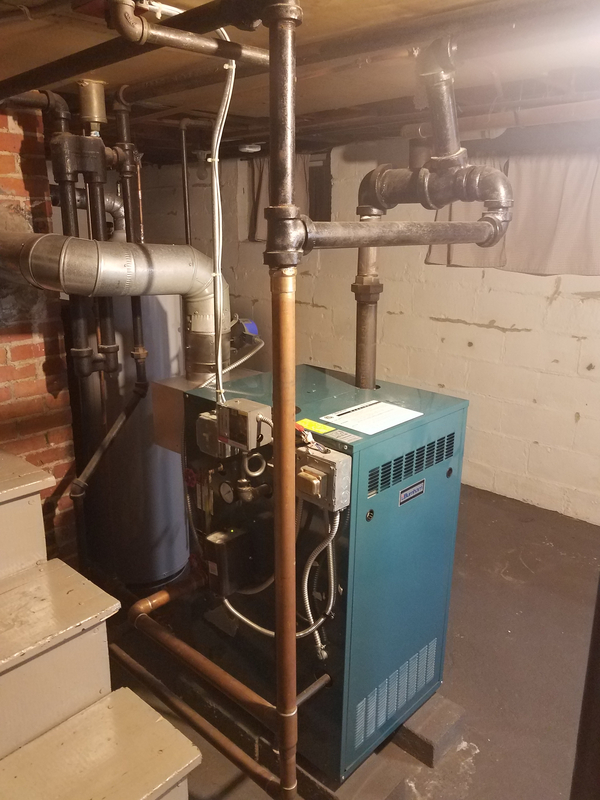 New to homeownership, new to steam heating. 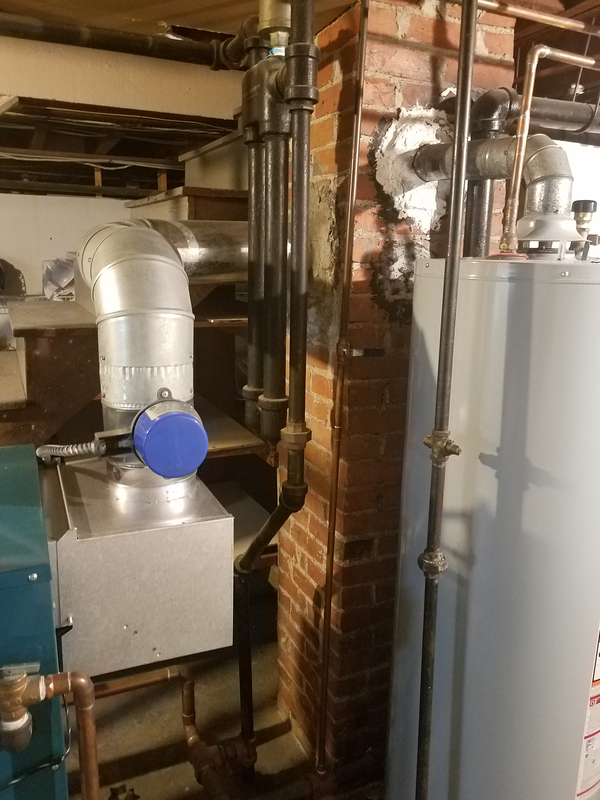 I have a two pipe system with Burnham PIN5SNC-MEZ boiler. I have no idea what the max fill level on this is. The sight glass was about half full when we moved in, but someone told me we needed to monitor the water level, so in prep for winter I topped it off to about an inch below the top of the glass. 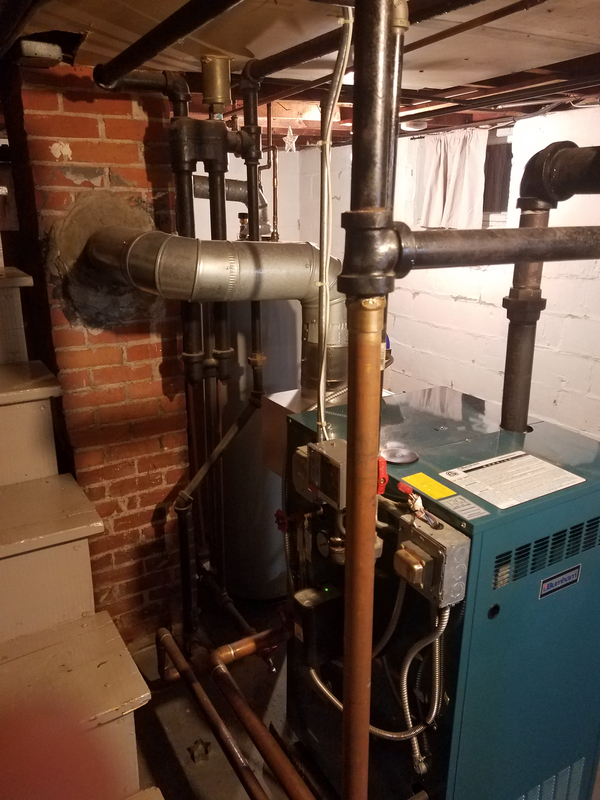 Recently, I've had a lot of banging that sounds different and more rapid than thermal pipe expansion (I thought maybe steam/water hammer or something) soon after it trips on after having been off for a few hours. It seems to calm down after the system warms up. since there is steam in the system at this point, I imagine the water level has dropped a bit too so i wonder if I've overfilled it. Any idea what max fill is on this? New owner of a 1920s home with steam heat north of Boston. It should be about 2/3 full. It needs room to make steam and as full as you have it, it may be pulling water up into the system causing some of the noise. You may also have a trap on one of the radiators causing steam to get into a return. In any case drop the water level and let us know if that fixed the problem. Will do, I'll drain a bit out and see what happens. I also just noticed that one and only one radiator is cold. 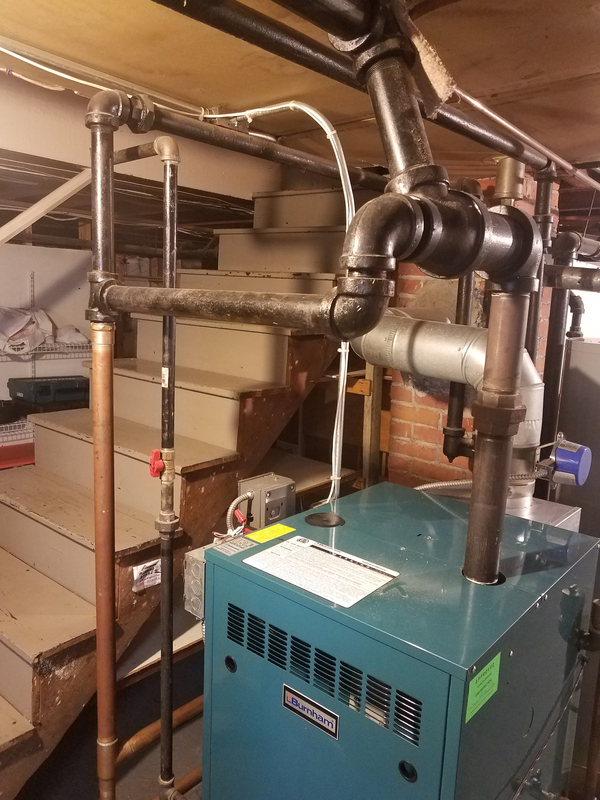 The steam pipe into it is hot, valve appears open, but the rad is room temp. Will have to look in that too. Why is the water green? Did you add some chemical or cleaner? If you did, drain the boiler and get that stuff out of there. Chemicals, especially cleaners create more problems than they are worth and can make the water level unstable and cause surging. Once you drain it out, fill it to 2/3's full and if you want to add anything, 1 or 2 Steam Master tablets are all you want to add. Also, that reducing coupling on the boiler header will cause water hammer. The water that drops out of the steam should be able to flow through the equalizer pipe (the one that goes to the copper pipe). The way it is set up now, water will have to return down the Boiler riser where steam flow up into the header. I don't see any pitch on either the Header or the equalizer. All of those things will cause noise, once the steam hits the water sitting in those pipes. I drained it to just over half full. Still the same noise with a cadence similar to water boiling in a pot on a stove. I had the same concern about the green water in the glass. It came with the house like that. 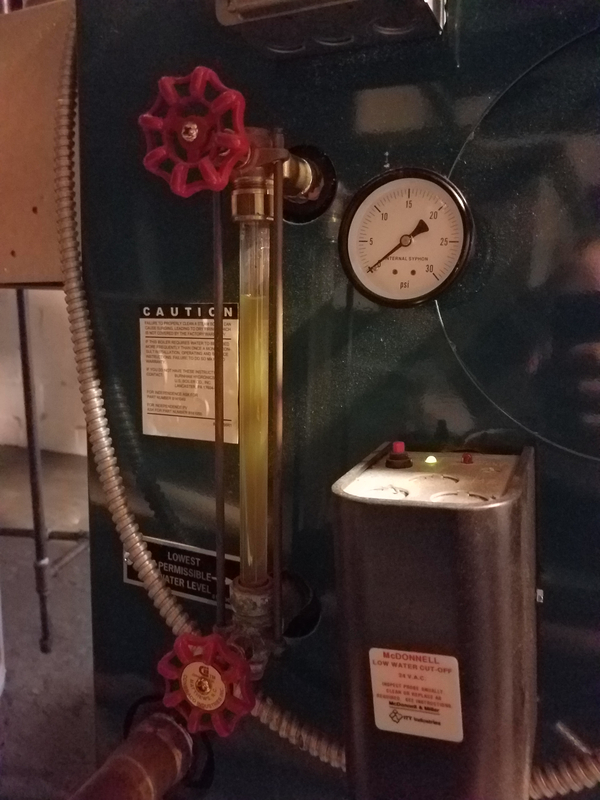 The water I drained from the spigot at the lowest point of the copper pipe was dark brown, but there's another spigot on the body of the boiler that appears to drain the green stuff. There was a cap on that spigot. 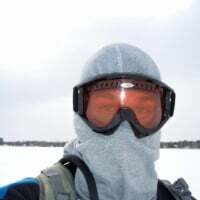 Sounds like the best bet is to call a guy in to have a pre winter look since I have no idea what mainainance the previous owners did. And thanks for pointing out the possible pitch issues! Get someone in there that knows steam. Where are you located? Go to the "Find a Contractor" tab at the top of this page and put in your zip code and see if someone from here is in your area. There are a lot of great steam Pros on this site. The sound of ware boiling, in a pot is a clue that water is sitting in that header or trying to run back down the steam supply pipe. That will likely need to be corrected but it doesn't look like a huge job. @Fred Am I right in thinking that there's a Hoffman differential loop lurking in the back of one of those photos? Specifically, the wider-angle boiler room shot. I'm a bit north of Boston. I'll reach out to a couple local contractors listed on here. 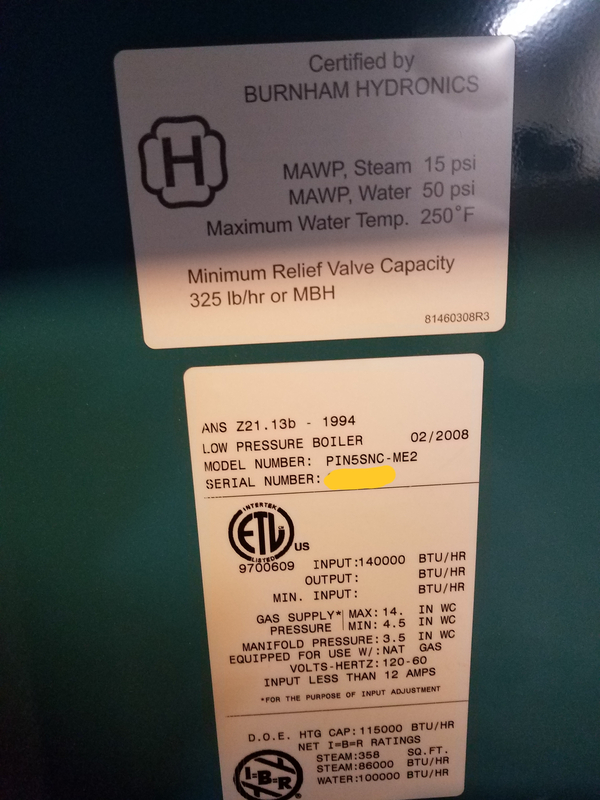 Can you show us some pictures of the piping around the boiler? Specifically above it? That water level looks about right for a Burnham and with good clean water and proper piping it shouldn't have any problem. @1Matthias , you are right. There is some kind of Differential loop in the background. I'm not sure if it is a Hoffman??? @Steamhead can tell us what it is. @ChrisJ , It's a bit high, even for a Burnham, especially the newer ones with a smaller block capacity. I'd say 2/3's full is a better option. @Fred Looking at it, it looks identical to the diagram on page here: https://heatinghelp.com/assets/documents/89.pdf If I had to make a wild guess, I'd say looking at the pipes that it looks like a #1 or 2. And the rest of the piping looks identical to the last diagram in that document to boot. @1Matthias , I think you are right. It does look exactly like that Hoffman loop in the diagram. @1Matthias thanks for the pdf. I have those exact hoffman adjustable valves on most of my radiators had no idea where to set them till now. This goes to about 1550 sf of heated living space if that matters. I found a local guy listed on here who appears to have steam system design in his resume. I figure I'll get him in to clean and inspect the boiler and system and see where that gets us. @Zipper13 , Who is the local guy? I think @New England SteamWorks might service the Boston area. He'd be an excellent choice. You have to get that reducer on that Header corrected. It's OK to reduce the pipe to the equalizer but the reducer needs to be on the vertical, after you turn down with a full size elbow. With it on the horizontal, water has no where to go except back down the steam riser and that will cause noise. A cleaning won't fix that. Also, is that a rag or something laying on top of that vent on the Hoffman loop? If so, it will prohibit the venting of air. If it is there because the vent leaks, replace the vent. A Gorton #2 will work fine there. @Fred Apparently the vent was a bit too tall so someone lazy decided to just cut a hole in the fireproof board on the ceiling above the boiler and slid the valve halfway through it so the tip of the vent it above it now. The rag looking thing is some lose paper coatingg from the sheetrock board. 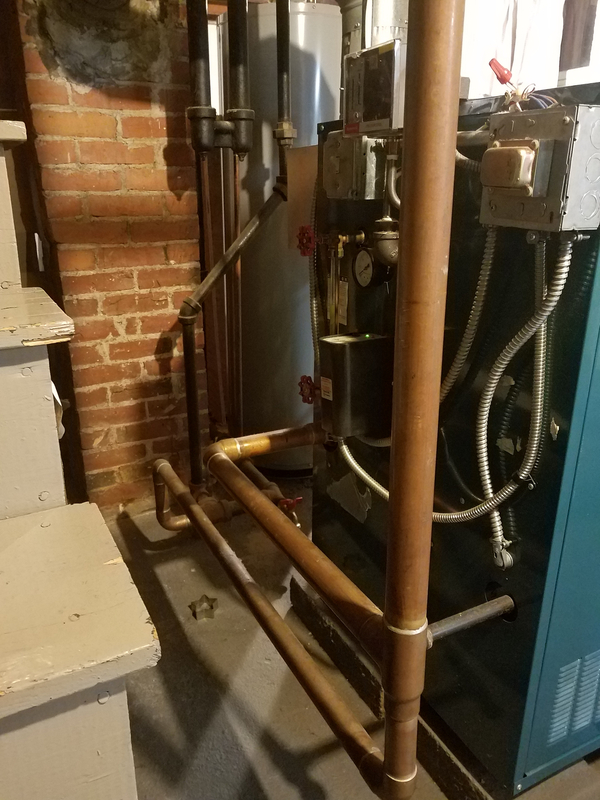 After looking into the local guy a bit more, hes a plumbing and heating guy that lists a few steam jobs but I get the impression he mostly does potable and waste water work and hot water heaters and furnace replacements so it's unclear if hes a steam pro or a guy who will do steam work sometimes. He does have high reviews and emailed me back with just a few hours though. I checked out @New England SteamWorks . Looks phenomenal, but not sure if they'll make the 75 mile hike up to me from providence for a cleaning and a consult though. I'll still reach out and see what they think though. I want to do it right, but I just had to replace my roof, so my wife keeps reminding me that we need to be strategic about our spending! 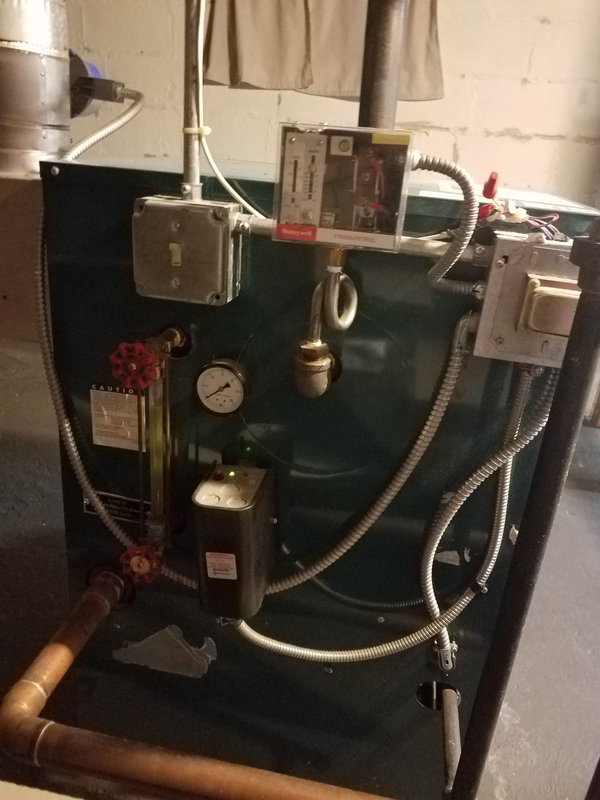 @Zipper13 , I get it about spending money right after paying for a new roof but explain to the wife that there is nothing strategic about paying someone to come to the house and tinker with your boiler if they aren't a real Steam Pro and then paying someone else to come and fix what the knucklehead did. Do reach out to @New England SteamWorks . I think he works the Boston area. Pay once and get it done right. I'm reaching out to NE Steam works tonight to see if I'm in their service area. Hoping to have them assess my system and maybe recommend maintenance and repairs that I don't see. And if nothing else, I want to know who to go to IF I have an emergency call. Thanks for the referral, their work looks unimpeachable. The heat just tripped on tonight - might get our first frost tonight - and I no longer hear the loud boiling water sound I noted the other day. Maybe an extra day of rest after I lowered the water level was what it needed? 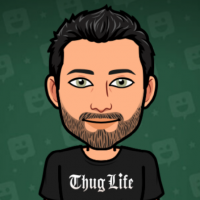 It seems to be working OK now, but I definitely still want a pro to look and let me know what I have. Thanks again for all of the input! This community is a great resource! @nicholas bonham-carter If I'm right, that's a hoffman #11, the original vent for that type of Differential loop. EDIT: If so, and if it's still working..that takes the cake for longevity. It's more likely to be Squick, a cleaning agent. It needs to be removed. > If I'm right, that's a hoffman #11, the original vent for that type of Differential loop. EDIT: If so, and if it's still working..that takes the cake for longevity. You're right! The stamped number on it was hard to make out, but I just got a closer look and it's a #11! So you really think that thing is 100 years old?! Seems to still work fine as far as I can tell, though with this configuration, it likely never needs to close apparently. I'm going to make sure to keep it if I ever end up needing to replace it. A piece a history.! Wouldn't surprise me at all if it was. I've pulled the original vents off of a neighbors system from 1899, but those vents had failed decades ago. (Made by some company I've not seen word of elsewhere.) It truly is a piece of history, and a testament to the engineering and build quality of goods from back then. Do get @New England SteamWorks in there. But if that really is a Hoffman Differential Loop, and it does look like one, that system will only run well at less than 8 ounces of pressure. That's 8 OUNCES. Vapourstat territory. Just fixing that may take care of some of your problems. Also, if it is Hoffman Equipped, there's no harm to putting more main venting in - but only at the Differential Loop. NO VENTING anywhere else in the system. Check and repair the crossover traps, if necessary. Can't believe I missed this thread the first time. Yes, that's a Hoffman Vapor system with a Differential Loop. Vapor was the Cadillac of heating back in the day and is still one of the best systems out there. The #11 vent was designed to hold vacuum, which under some circumstances can hold water up in the system. I hope you got in touch with @New England SteamWorks - can't go wrong with them. Did you get the header and Hartford Loop repiped? What should I be concerned about in the Hartford Loop? damage to the system? inefficiency? noise? I have identified some pitch issues in the main that should be easy to fix this summer with a couple extra hangers. I will also add the vaporstat and low pressure gauge (any recommendations on a gauge? 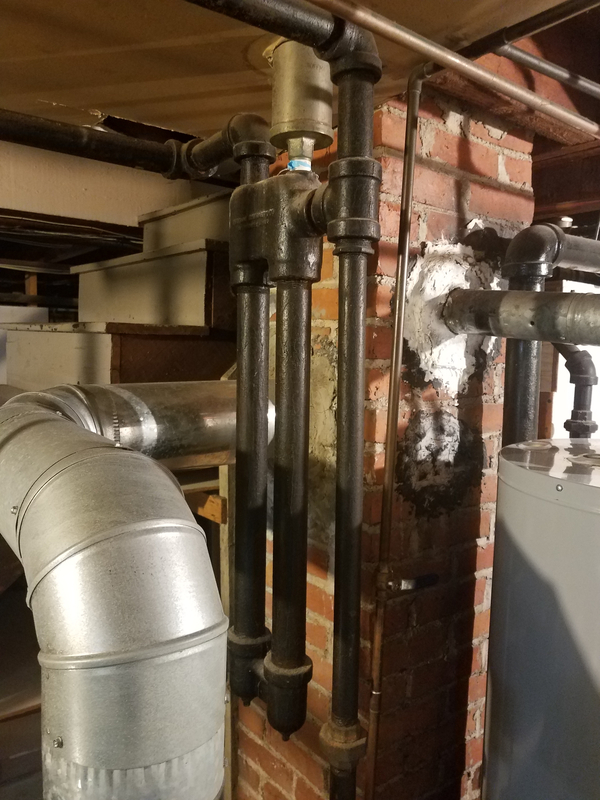 ), insulation, and a skim port to the PRV this summer https://forum.heatinghelp.com/discussion/169492/can-i-add-skim-port-to-existing-pressure-relief-valve#latest. For now, there are no additives in the boiler water, but I think I'll buy a bucket of steam master to have on hand. The only thing really amiss with that header is they used the wrong T on the second takeoff. What should have happened is to use a T with a straight through run, and then an eccentric reducer, straight side down. The arrangement you have will hold condensate in the header. Not a killer, but should be fixed next time you play with the piping.